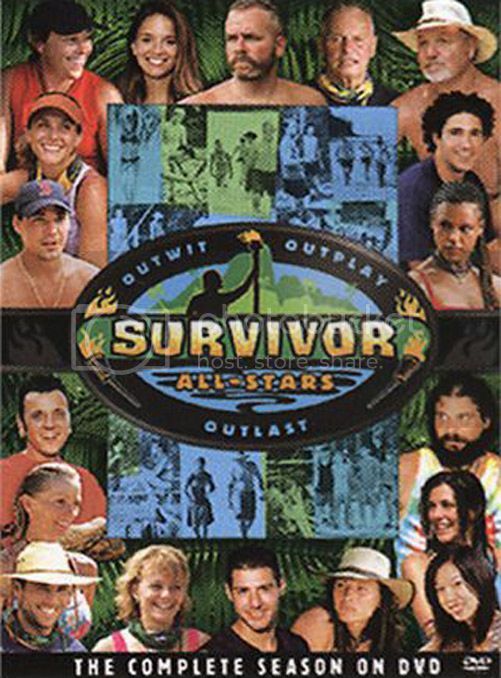 Buy, Rent or Skip Survivor: All Stars? Having said that, this "pre show friendship" I just talked about produced one of the most memorable moments on the show when Boston Rob used said friendship with Lex to get him to save Amber, only to have Rob turn around and stab Lex in the back. This made for awesome, riveting TV viewing. Another reason why this only gets 4 Stars is that we are cheated in the game itself. When you have both Jenna and Sue quitting the show, we are left with "what could have been". Maybe the same results would still play out, but who's to say. I mentioned before that I consider Survivor: Australia. The proof is in the pudding when All-Stars was represented by more players from Season 2 than any other season. Be sure to stick around for the Reunion Show as a lot of good stuff went down: Rob proposing to Amber, Jerry walking off the show, Rob and Tom getting into a heated argument and the first ever America's Tribal Council in which fans voted for their favorite player to be awarded another cool million. I recommend this as a Buy.